HIGHWAYMEN LIVE – ROANOKE RAPIDS, NC – MAY 10, 2019 | Love Productions Inc.
Perhaps the greatest country music super group in history, the Highwaymen traveled the world performing their music to millions of fans. 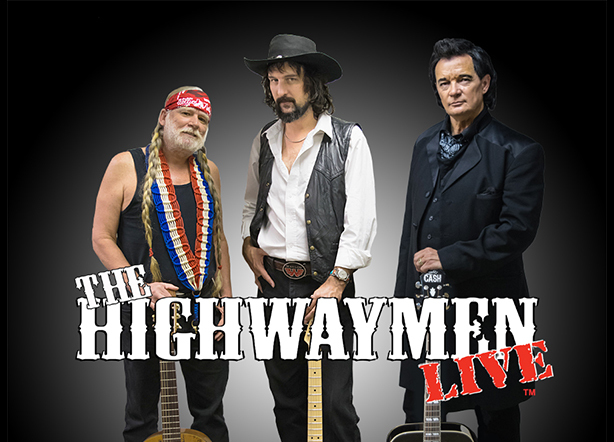 Highwaymen Live is a 90-minute country music tribute show, full of upbeat, honky-tonk hits like “Ring of Fire,” “Dukes of Hazard,” and “On the Road Again.” Audiences watch in amazement as each song, one hit after another is sung just as if they were seeing the original band perform. Nelson, Cash, Jennings—relive the glory days when country music was made by Good Men, Country Men, The Highwaymen.